The post-1945 system is today overtaken by events and a new world order is about to emerge. This new—quite explosive—background doesn’t signal the end of the EU, but shouts out that its core features must be redesigned and receive broad popular support. The question is how. 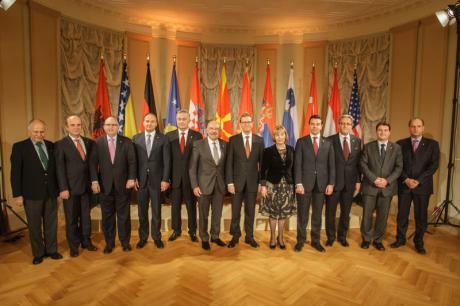 German Foreign Minister Guido Westerwelle receives Balkan politicians in Berlin. Theo Schneider/Demotix. All rights reserved. After more then 50 years of European integration, the EU has to tackle a crisis in delivery and a crisis of identity. People worry more about the EU’s unfulfilled economic and social promise, less about the EU’s inability to play a bigger role on the world scene, and only marginally about “excessive expansion”.